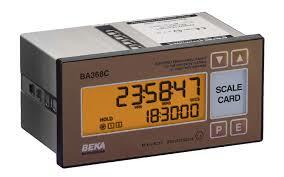 A unique collection of FM approved and ATEX certified instruments which may be conditioned on-site to perform a wide variety of counting and timing functions. In addition to pulse counting and time interval measuring or control, the instruments can display rotational speed and position from quadrature signals, or be conditioned to display local time with alarm outputs. Field and panel mounting intrinsically safe models also have FM non-incendive approval for Division 2 installations without the need for an intrinsic safety barrier or isolator. Similarly, the field mounting Type nL instrument will perform the same functions in Zone 2 hazardous areas without the need for barriers or isolators. 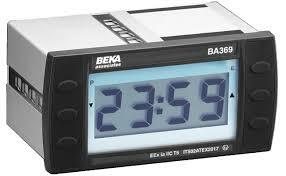 Also in this section is the BA369 intrinsically safe battery powered clock. Featuring an easy to read accurate digital display, this stand-alone clock allows local time to be displayed in all gas hazardous process areas. 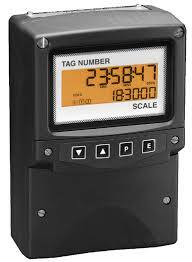 All models can be supplied configured to customers’ requirements and they can be labeled to show units of measurement, tag number and application.